Are you looking for a digital camera that is able to instant print? Well, check out Polaroid instant digital cameras! Polaroid has produced Polaroid Snap and Polaroid Z2300, two instant digital cameras that are able to print your pictures immediately after you shoot. As practical as possible, these models also require no ink! Despite the affordable prices, Polaroid Snap and Polaroid Z2300 also offer exceptional digital image quality. So, which one should you choose? Know the differences between the two models below! 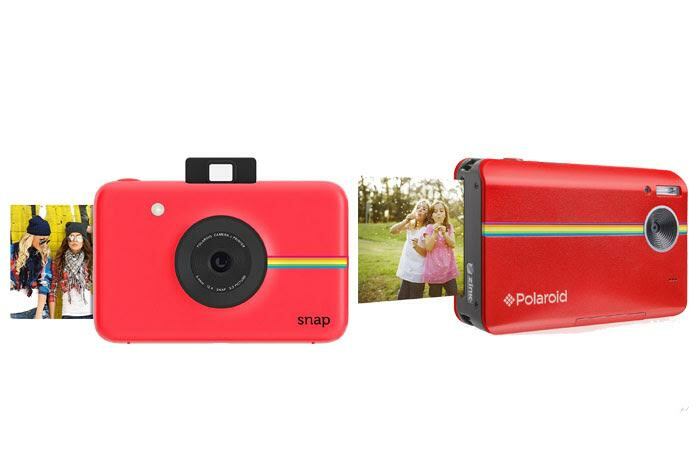 Polaroid Snap is a compact and portable instant digital camera. The design is rather simple and straightforward. With a 10 MP image sensor, it is able to capture sharp and crisp photographs. Quite surprisingly, it is also able to reproduce accurate and brilliant colors. It saves the digital files in a MicroSD card, and it can take in a memory card up to 32 GB in capacity. However, keep in mind that Polaroid Snap prints automatically. It will print the photo right after you shoot. Having an integrated ZINK Instant Printer, it prints full-color on a 2”x3” ZINK photo paper without needing any ink. This is very convenient; you just need to load it with some photo papers without ever need to worry about running out of ink! Polaroid Snap comes with three photo modes: normal, black and white, and vintage sepia tone. There is also a self-timer. Unfortunately, it is not exactly customizable, and it doesn’t record videos. Available at a slightly higher price, Polaroid Z2300 is an instant digital camera that has been packed with features! Armed with 10 MP image sensor and built-in ZINK Instant Printer as well, Polaroid Z2300 is ready to deliver astonishing images whenever you want. Unlike Polaroid Snap, Polaroid Z2300 actually allows you to choose whether you want to print an image now or later. It saves the digital pics in a MicroSD card, 32 GB being the maximum capacity. Furthermore, Polaroid Z2300 also allows you to crop, add borders, and apply filters to the pictures, too! These additional features are indeed very handy. Equally awesome, if not better: Polaroid Z2300 is able to record 720p HD videos. In general, you should choose Polaroid Z2300. The built-in editing features are handy, and the model also allows you to concentrate on shooting by printing the results later. The video recording capability also has nice quality.